In 2012 the award was given to John Richards, who was nominated for his role as Project Leader of the joint BACAS/BaNES Stanton Drew Project. Along with John Oswin, John Richards wrote the acclaimed reports for the work in 2009 and last year they completed the 2010 report. 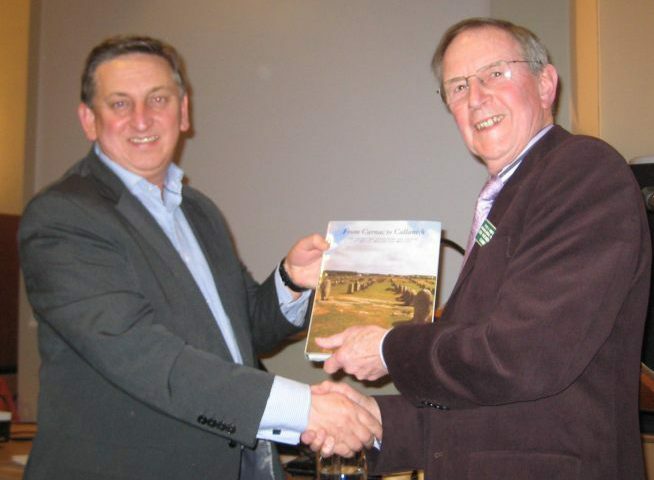 The Committee were delighted to give the award to John and at the AGM in February he was presented with the Aubrey Burl book ‘From Carnac to Callanish: Prehistoric Stone Rows of Britain, Ireland and Brittany’ by Chairman Bob Whitaker (right).